Enjoy Utah! : DATE NIGHT: Drive-In Movie! 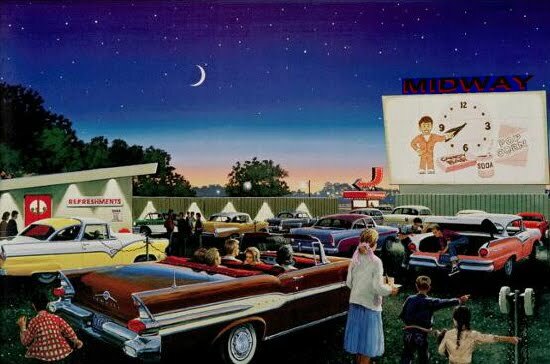 Sadly, the number of Drive-In theaters across America is slowly declining. We are lucky to have a few left here in Utah to enjoy! I know this is one of our favorite ways to watch a movie, especially because we have a truck to lay out sleeping bags and enjoy the movie in! 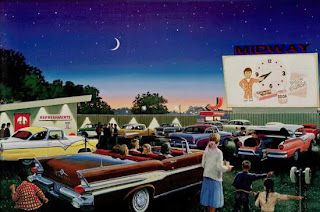 The Redwood Drive-In opened in 1948 as a two screen theater. In 1977, it converted to three screens, four screens in 1978, and the current six screens in 1983. The facilities were renovated in 2004. Most of the screens show two movies each night. Visit the website for showtimes and theater information. This one screen drive-in theater has been in operation for over 53 years! There are more Drive-In movies in operation around Utah. Visit this website for a complete listing.